يشكل فندق Barbados Holiday Apartments بموقعه الممتاز في منطقة شواطئ, تسوق, مطاعم ضمن المدينة، مكاناً ملائماً لقضاء العطلة بعيداً عن عجقة أيام العمل. يمكن من هنا للضيوف الاستمتاع بسهولة الوصول إلى كل ما تقدمه هذه المدينة النابضة بالحياة. إن سهولة الوصول من الفندق إلى المعالم السياحية الشهيرة الكثيرة في المدينة هو استثنائي بحد ذاته. بالإضافة لهذا، تتضمن كل غرف الضيوف مجموعة واسعة من وسائل الراحة . بعض الغرف توفر حتى تلفزيون بشاشة مسطحة, اتصال لاسلكي بالإنترنت, غرف لغير المدخنين, مكيف هواء, شرفة/ تراس لإرضاء أكثر الضيوف تطلبًا. صممت خدمات الاستجمام في الفندق والتي تتضمن ساونا, مسار جولف - ضمن 3 كم, حمام سباحة خارجي, حديقة لمساعدتك على الاسترخاء والراحة. مهما كانت أسبابك لزيارة المدينة، فإن Barbados Holiday Apartments هو الخيار الأفضل لإقامة مثيرة وممتعة. Location, Close to eateries and good ventilation. Could of been Kleaned abit better. Needs a refurbishment. Tired inside. Great location. Upon arrival into our room, I found hairs around and the toilet and shower. Very unclean, as was the carpets. Not happy at all. We made reservations 4 months in advance advising we had young children, yet we were given a room 6 floors up that had no fly screens or wire screens for the Windows and doors. So we were unable to keep windows open or the balcony door as there was no screen door at all. Even the bedrooms has no screens, so if an adult happened to want the window open (which you needed as it was 30 degrees), you had to be careful of falling 6 stories and of mosquitoes. The main bedroom had no air-con and no working ceiling fan. The heat at night was insufferable. We were only given 3 towels for 4 people for a 4 night stay. No bath mats at all. We were not supplied any extra toilet paper rolls, only what was left on the holder, which was half a roll. And finally, the ensuite shower had no curtain and no shower door, so the water sprayed all over the bathroom, and as we weren't even given any spare towels, it was a nightmare. Very very unhappy. 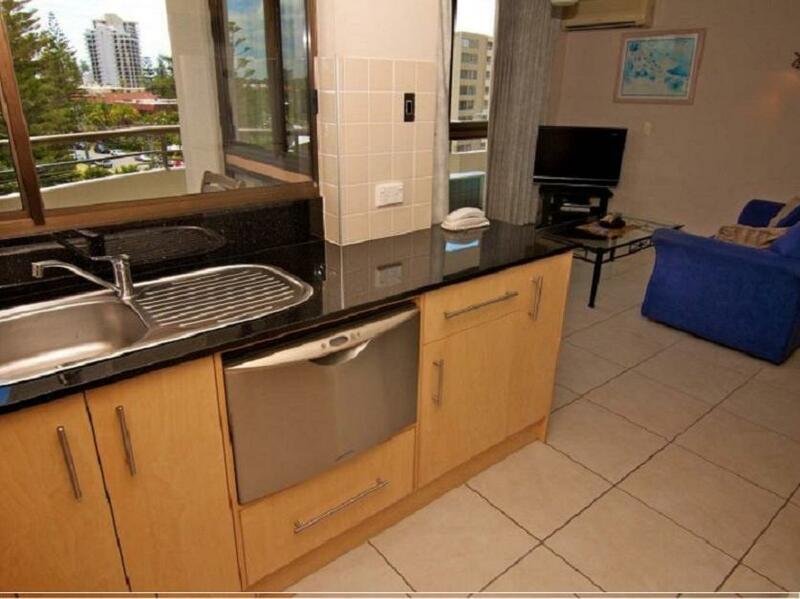 Well worth the money, great size rooms well set out, close to beach and very close to all restaurants. Stayed in 2 bedroom apartment for 3 nights. Was comfortable, clean, large, had kitchen facilities & lounge area with Foxtel TV. 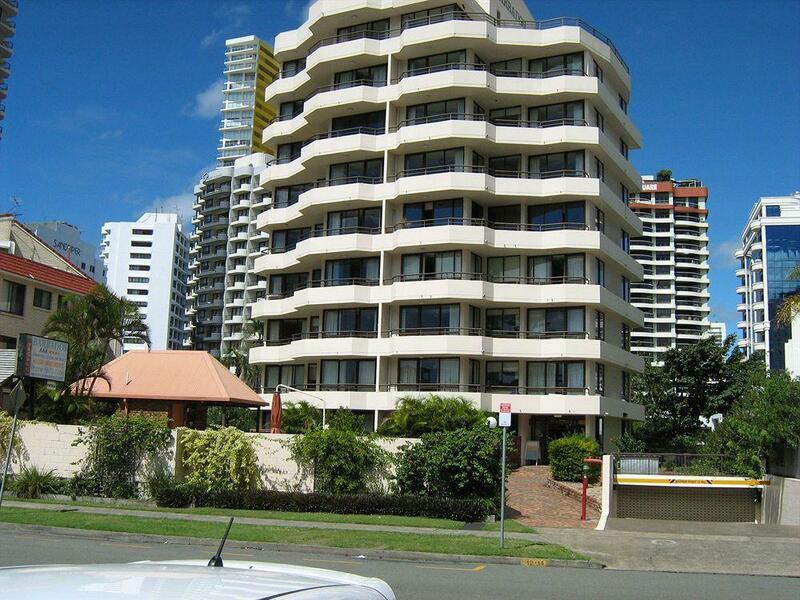 Close to Convention Centre and bus stops- about 10-15min by bus to Surfers. Only negative was that reception had limited opening times so it was hard to get service/help if you headed out early and came back later. Also they are not happy to hold your luggage for you after check out so you have to carry it with you if you still have time before going to the airport. But overall it was nice and reasonably priced.